Extra-large 64 oz.Tritan™ jar for your Wolf Gourmet blender is shatterproof and BPA-free. The 32 oz. 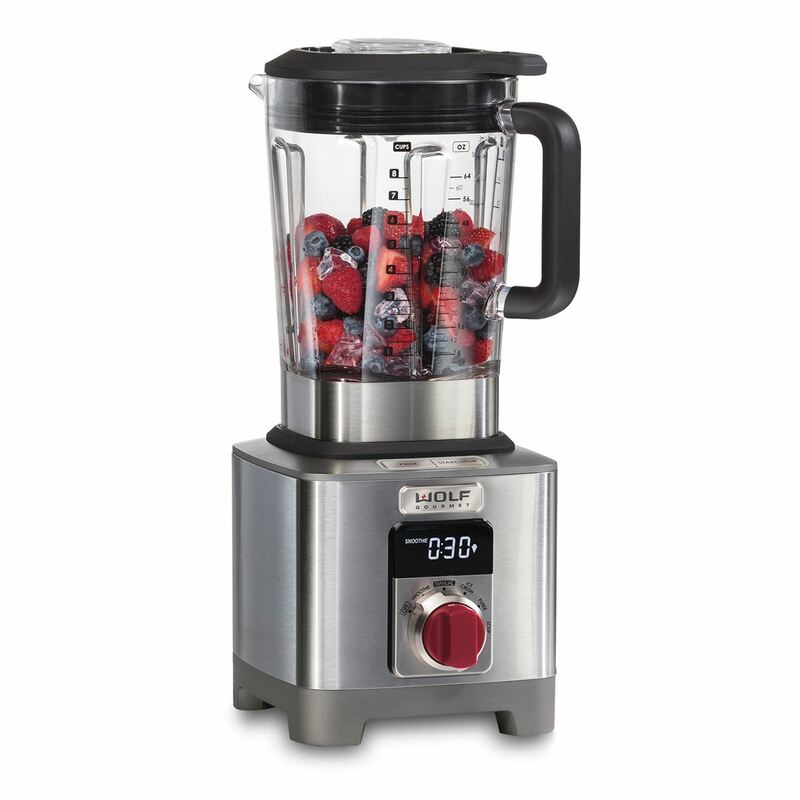 Tritan™ jar for your Wolf Gourmet blender is designed to process small batches. Ideal for dressings, mayonnaise, dips and smoothies. Shatterproof and BPA-free. The lid fits securely into blender jar and can be easily removed by lifting the logo tab. Removable rubber jar pad sits on top of the base to keep the jar in place and to make cleanup easy. The tamper fits into the lid of the Wolf Gourmet blender for mixing thick or frozen mixtures. Two-piece assembly includes an emulsion cup for dressings and marinades and a filler cap with measurement marks. Change the look of your Wolf Gourmet appliance by changing the knob color. Color choices include heritage red, black, or stainless steel.